Whether at a business, or at your home, birds can become a real nuisance. They can cause serious damage to a structure and in some cases be a health risk. There is a multitude of different applications to resolve these types of problems, such as Netting Systems, Electric Track Systems, Sound Deterrents, Live Trapping, Hazing Systems, Repellents and many more. You need a professional bird expert to determine what method will work best for your property. 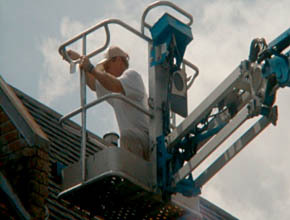 We also have skilled experience in repelling, operating lifts, ladders, and other professional equipment. 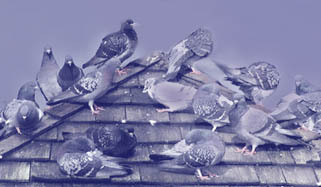 EnviroTeam has the expertise to work with any situation in resolving bird problems safely and humanely. You are just one phone call away from a free evaluation of your home, commercial building, food plant, health care facility or school. 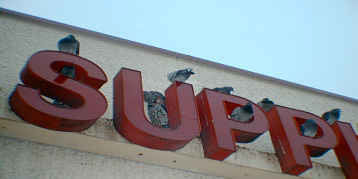 We also can provide cleanup work on areas contaminated with bird droppings and nests.